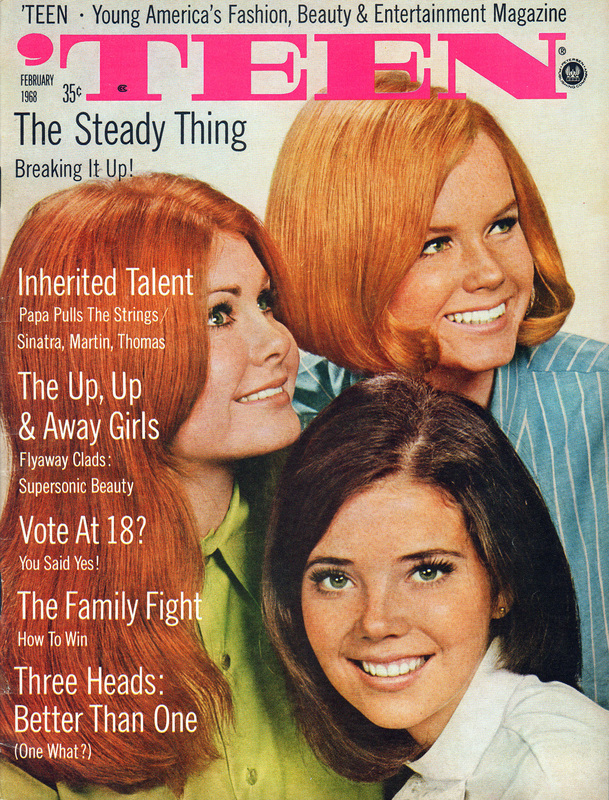 Here, for your viewing enjoyment, are pages from the February 1968 issue of ‘TEEN magazine. 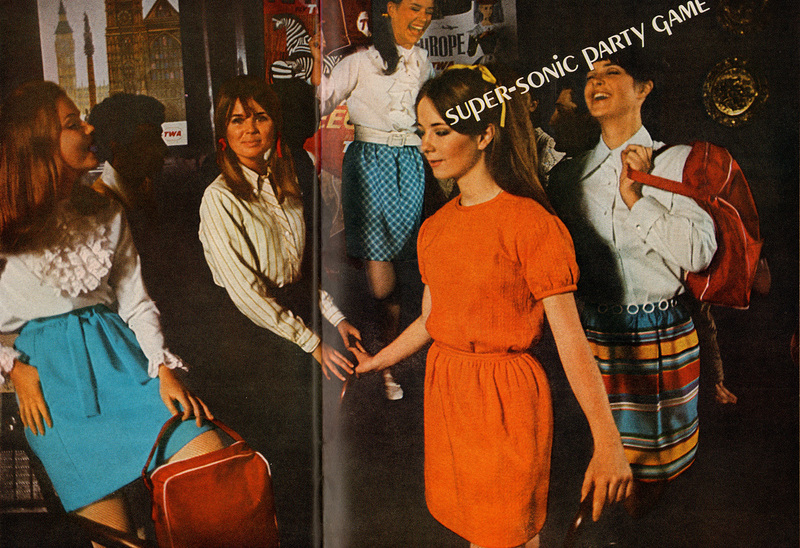 Get ready for lots of smiling birds in bright colors and far-out fashions. Groovy! You can see how the hippie culture has officially infiltrated youth culture. Flower power designs reading “Longhairs Unite” and “Down with Mix ‘n’ Mess”. 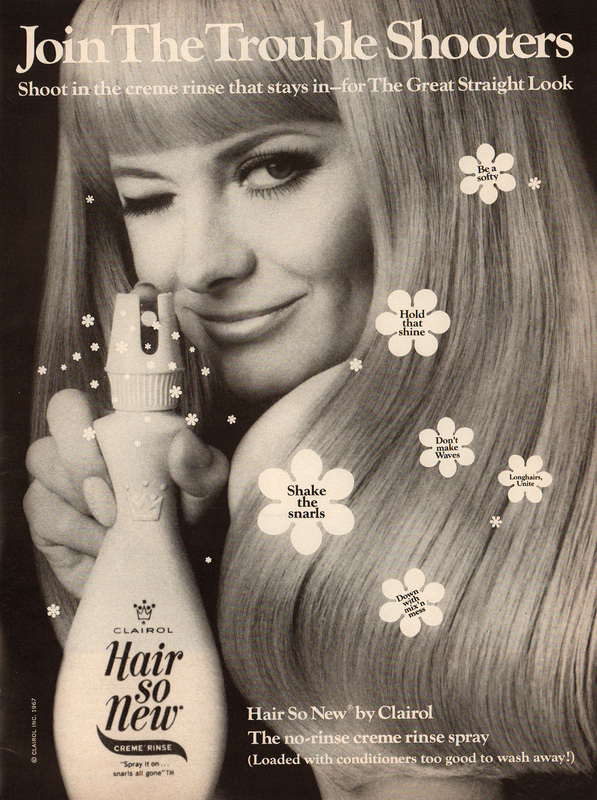 What started as a counterculture aggressive anti-establishment movement quickly became absorbed (and neutralized) by mainstream culture to the point of easily blending into a hair product ad. 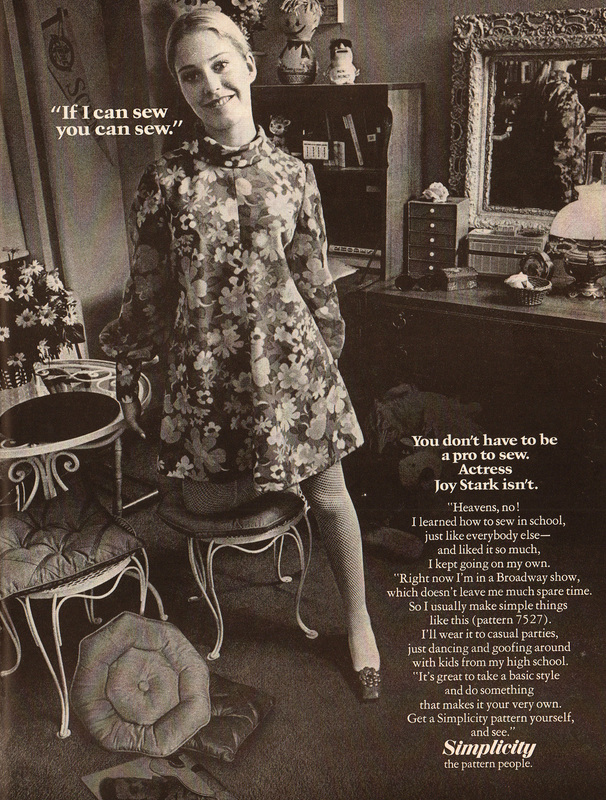 How many teenage girls do you know that can sew? A lost art. 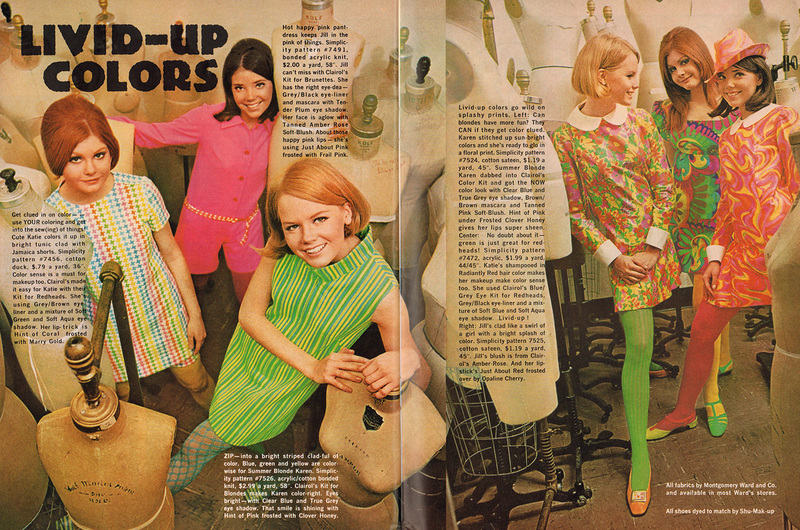 I love the bright joyous colors of late sixties fashion. Life was optimistic and it was reflected in the styles of the day. In just a few short years, the wardrobe palette would go from day-glo to brown. 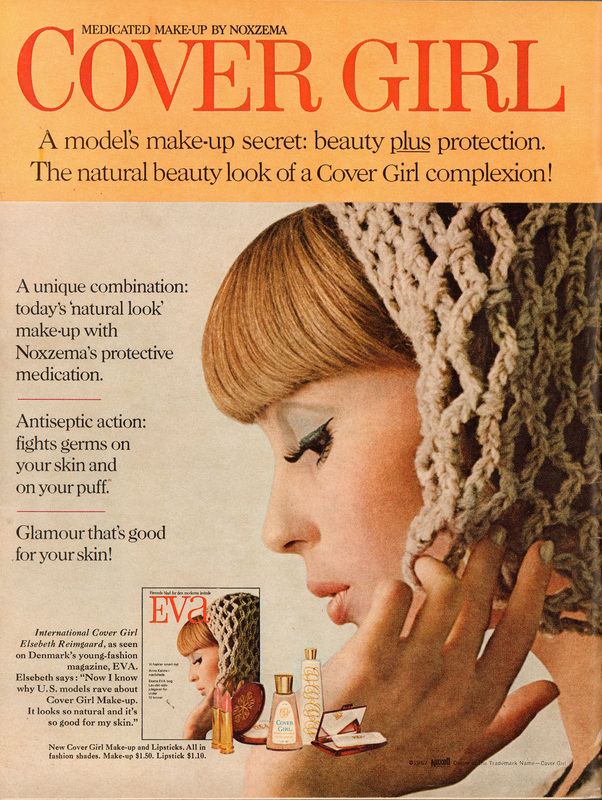 The seventies color spectrum seemed to consist of colors ranging from yellow-brown to dark-brown. A stark contrast to the cheerful brights of the sixties. Our soap will “let the sunshine in”…. 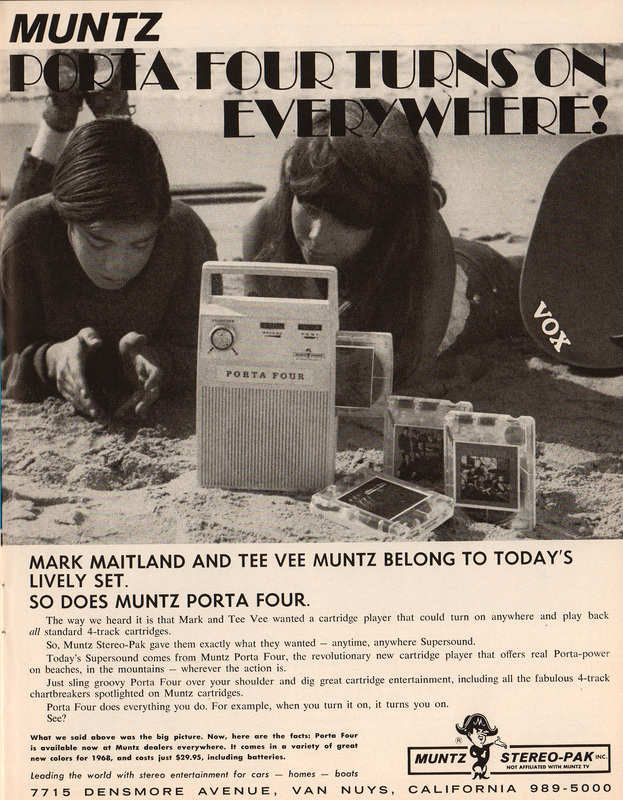 yet another hippie appropriation in the name of selling soap. 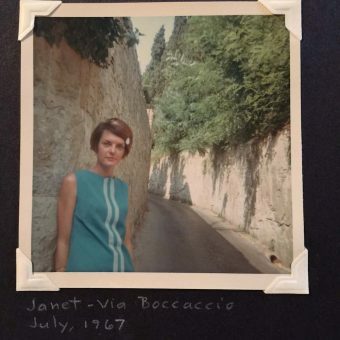 What celebs were ’68 chicks putting on their bedroom walls? Dylan, Brando, Cain, McQueen Fonda,…and Bill Cosby. I don’t think Bill is going up on too many walls these days. 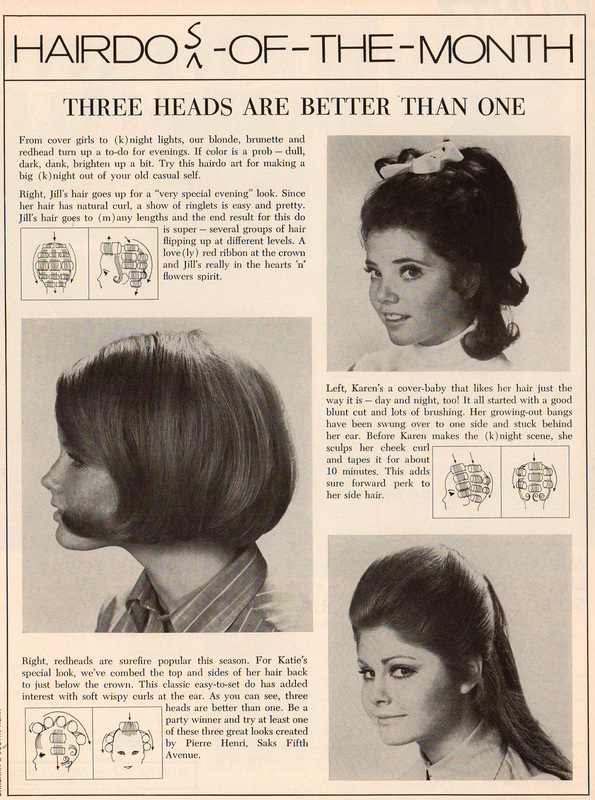 Yarn headwear was “in” in 1968. 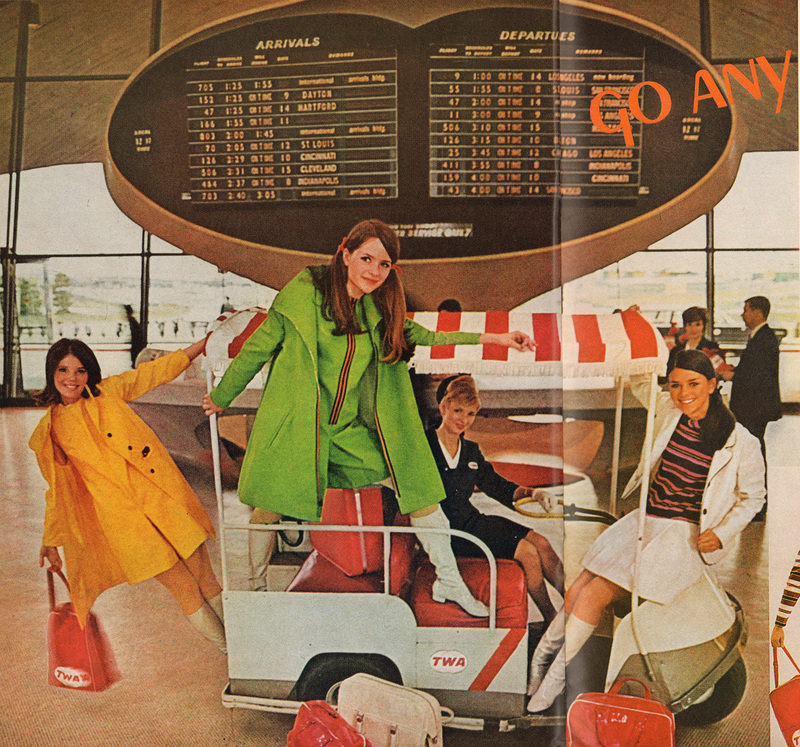 This fashion spread features a collaboration with TWA airlines. You can’t deny that these are some ridiculously awesome threads. 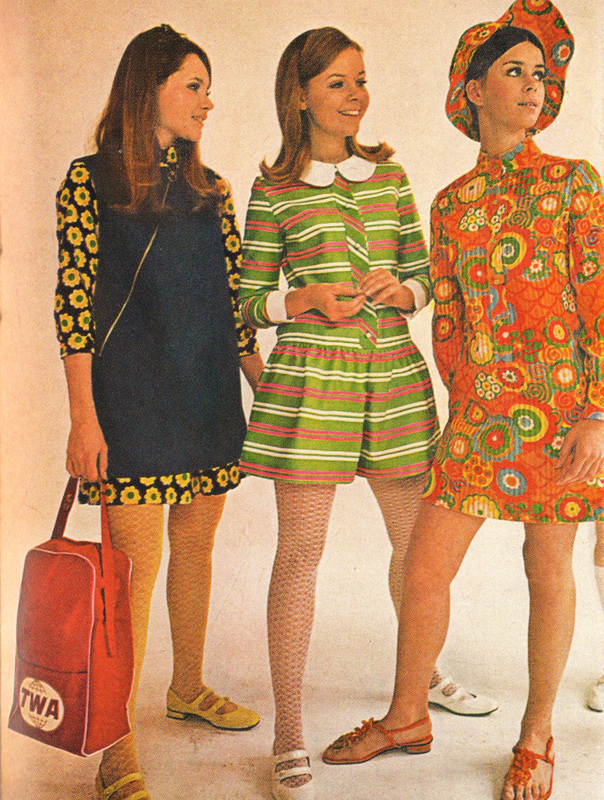 Smiling girls in go-go boots and jaunty miniskirts – is this paradise or what? 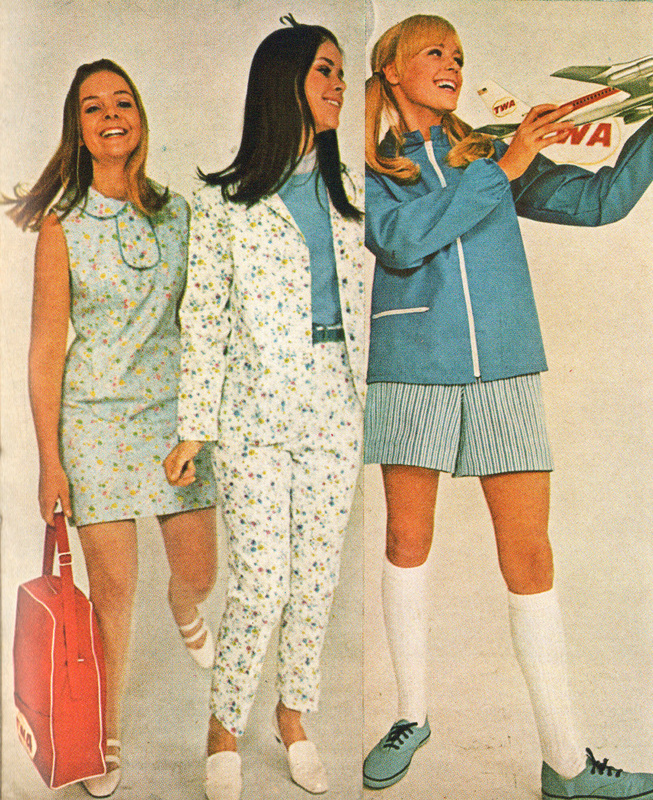 More TWA-inspired fashions to come. 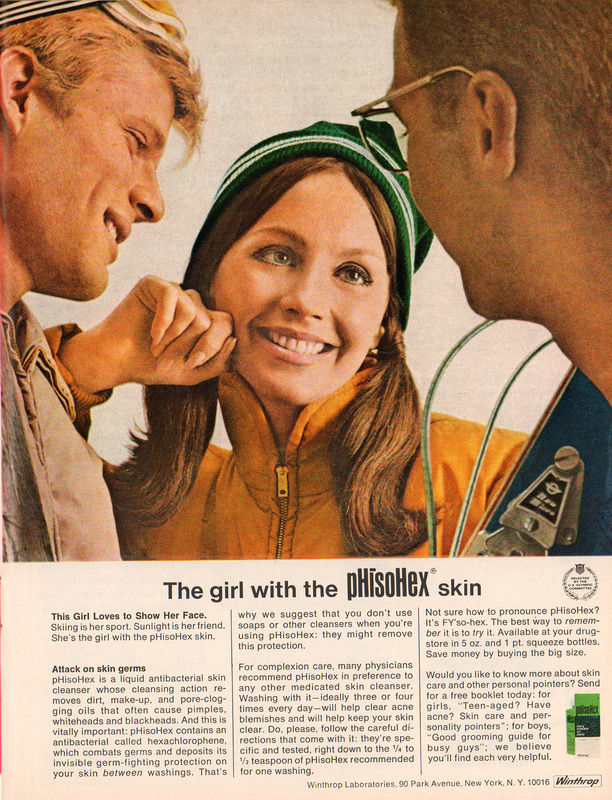 Midol is a “mood brightener”… Well, that’s one way to put it. 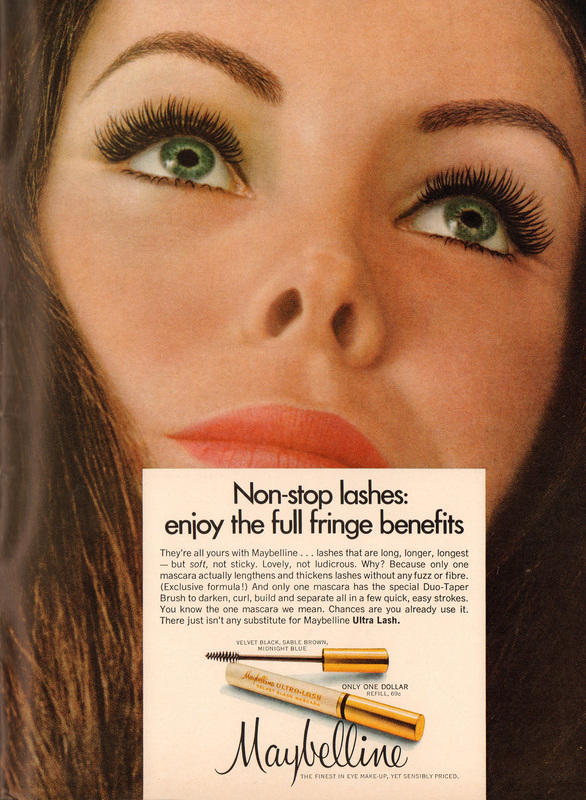 To say “thick lashes were in” in the 1960s would be an understatement. A good look IMHO. It’s fascinating for me to see Soft Machine and HP Lovecraft as featured artists in a teen girl magazine. 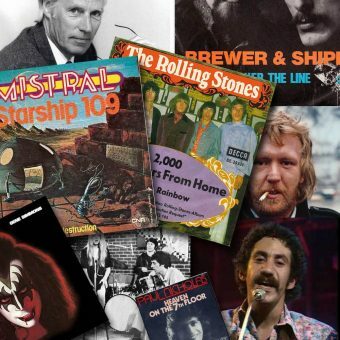 It makes you realize how homogeneous the music is that is force-fed to today’s teenagers. 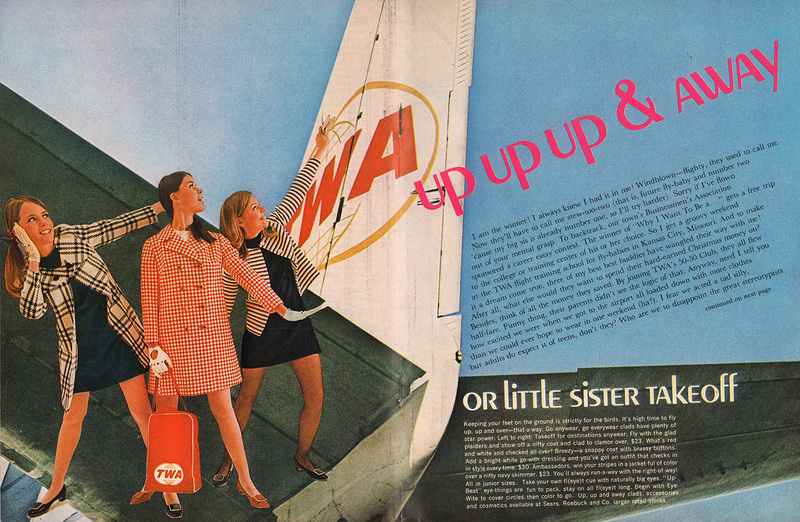 In 1968, TWA was a swingin’ jet-set airline…. 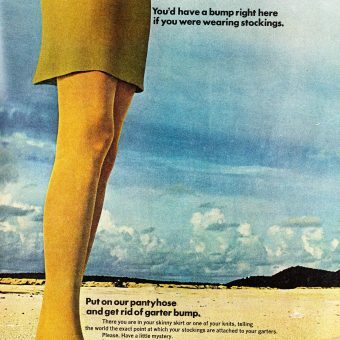 fast forward a few decades and it became saddled with debt, eventually claiming bankruptcy and being bought-out by American Airlines. A sad end to a groovy airline. “You will need isometrics even if you have decided to reduce solely by dieting. Because when the fat is gone there will remain layers and layers of loose, flabby, unattractive skin that had been stretched out by fat”. Yuck. 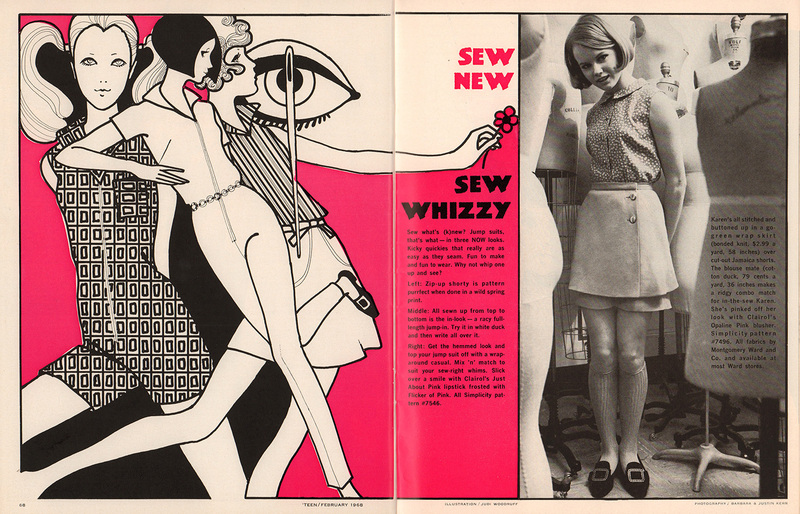 I wonder, if you looked through today’s teen magazines, would you find articles about sewing your own clothing? I think that skill is largely a thing of the past. 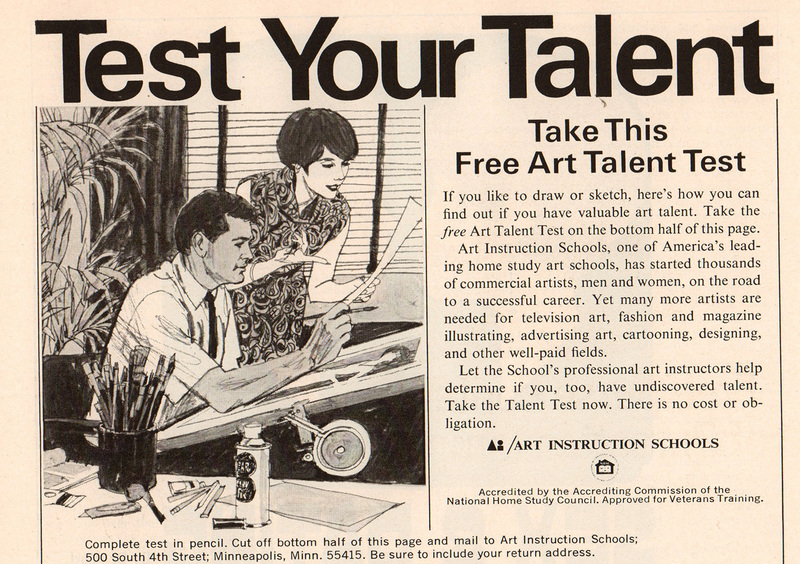 Why is it that magazines have forever been filled with art school ads? Are they scams? I never enlisted in one. 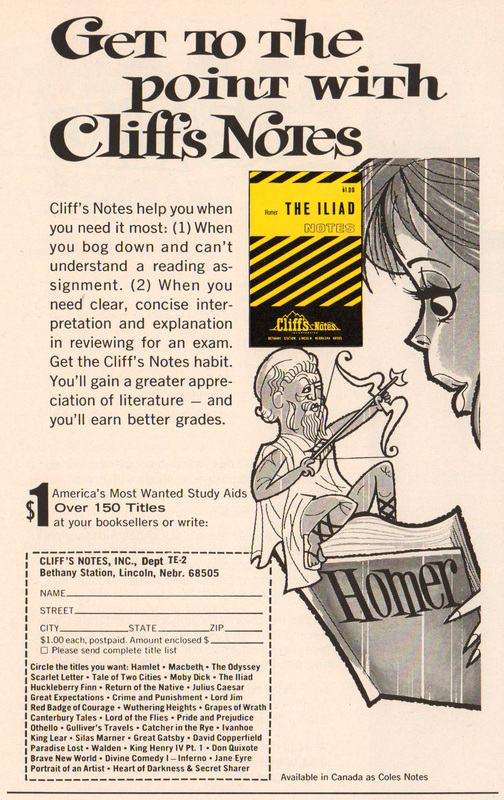 Once upon a time, Cliff’s Notes were a student’s best friend. 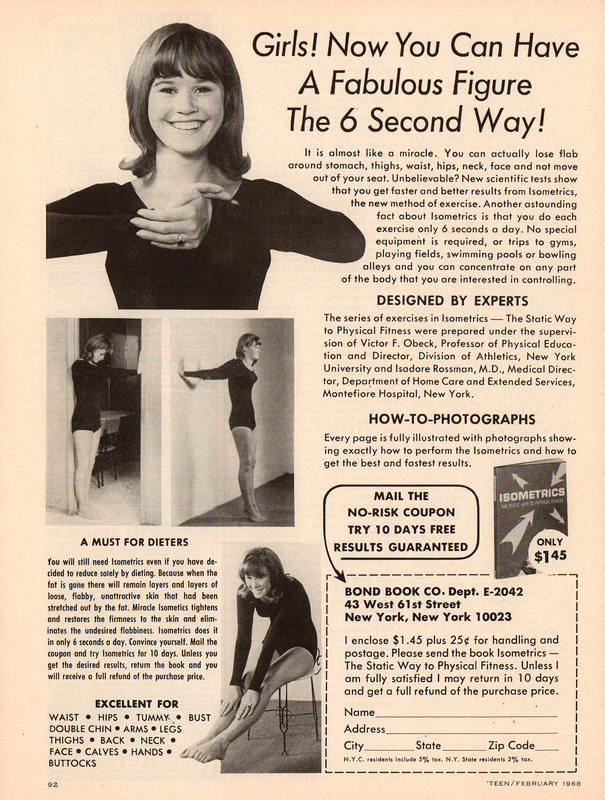 Why read a great work of literature when you can get the condensed version spoon-fed to you in minutes? 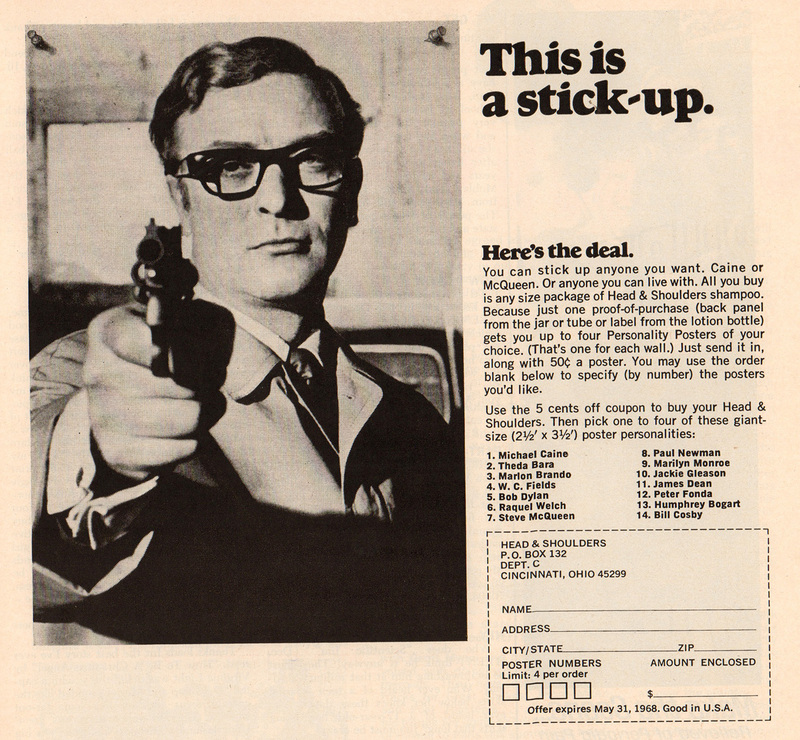 I suppose the internet has supplanted the need for Cliff’s Notes. Ahem. Excuse me, TEEN magazine. 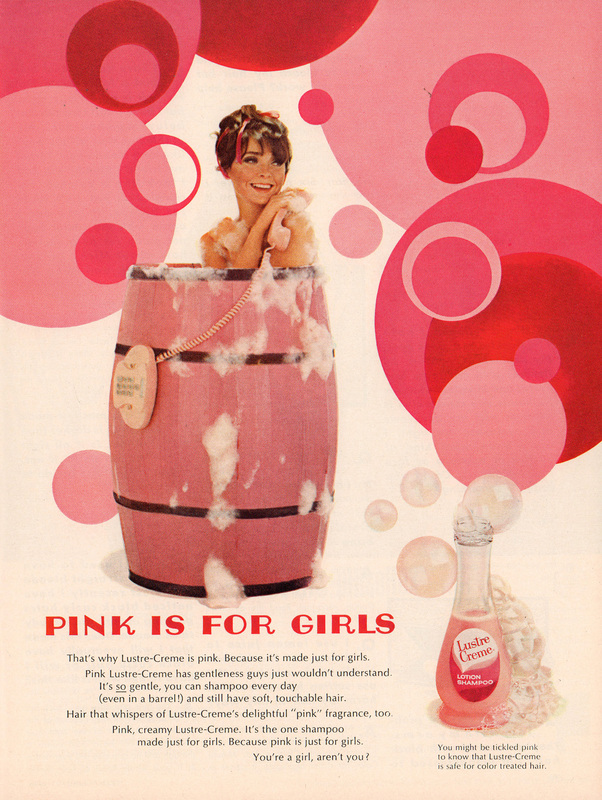 That’s gender-stereotyping. Please retract this statement immediately. 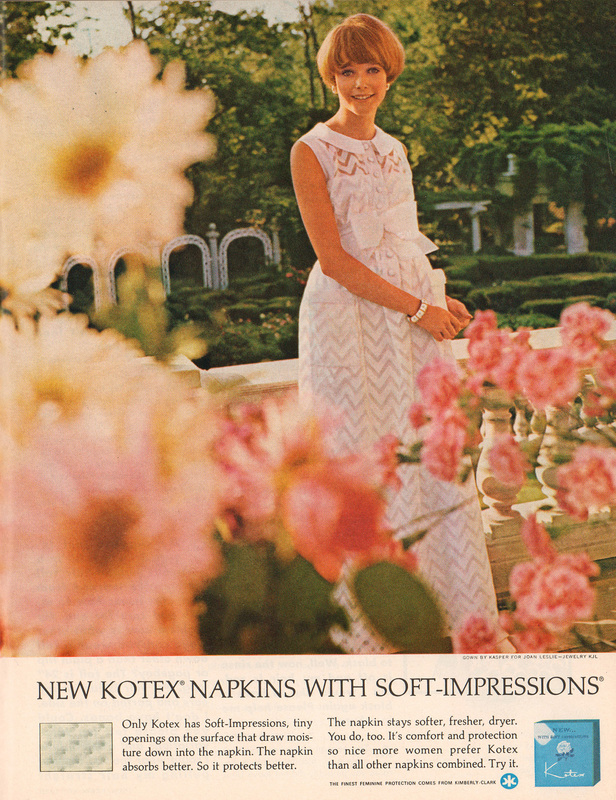 You’ve got to hand it to Madison Avenue – they can make even a sanitary napkin advert a thing of beauty. 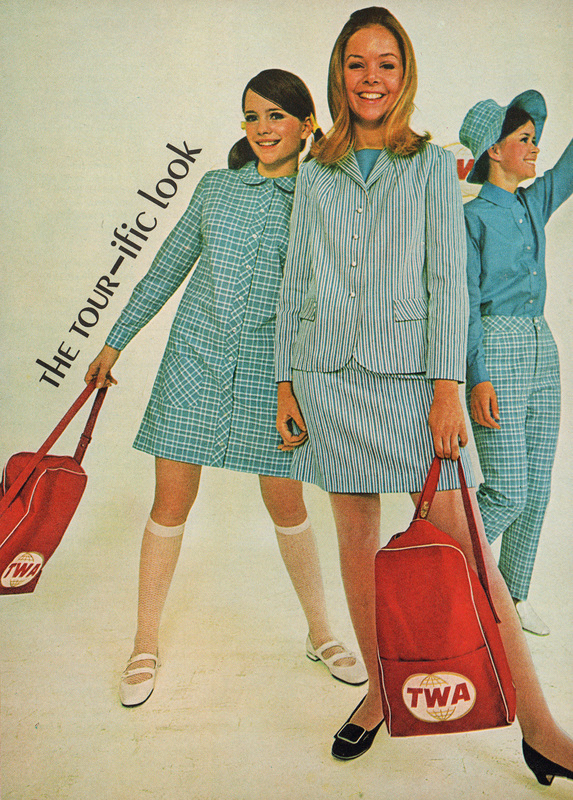 Craving more TWA-inspired shagadelic fashions? 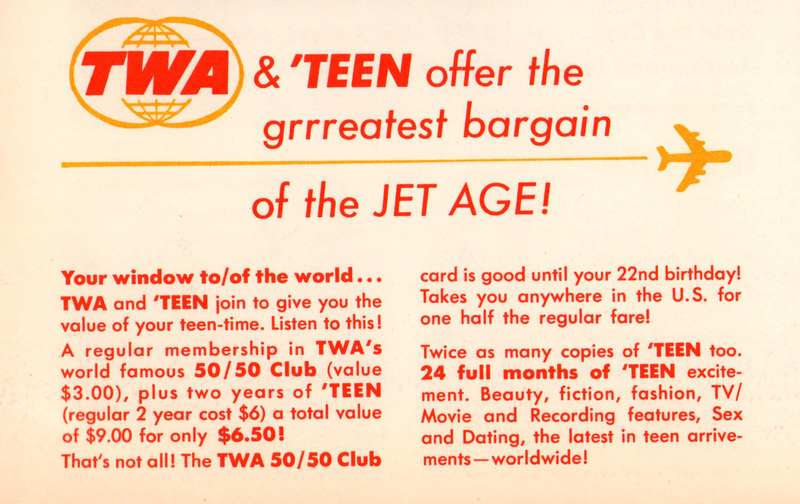 Just subscribe to “TEEN for the grrreatest bargain of the JET AGE!